With more and more vehicles on the roads, an increase in accidental damage is inevitable. Happily, it is the insurers who pick up the tab in most cases, very often through companies like ABL at Redhill, one of our recent clients. Since they are a major independent SE insurance car repairer who provide top quality work backed up by an excellent customer service, their workshops are always busy. Any failure of the electrical system would be a costly disaster, with a large number of highly trained, well qualified and skilled tradesmen with their hands in their pockets plus disappointed and possibly angry customers waiting to be reunited with their vehicles. When we were called in, problems had started to arise, which was hardly surprising given the electrical demands of their state-of-the-art spray booths, car wash systems and other heavy equipment. The electrics of their commercial unit was fitted with Eaton MEM 200A Glasgow boards and 800A busbars. The main problems that we were called in to sort out were the red phase was burnt out and there was overloading on phases but there were a few more issues to solve too. The switchgear had been installed in the 1960s, bodged up initially and then neglected by the previous owners. If looked after, the MEM Glasgow range perform well but, as with even the best built cars, a lack of maintenance work leads to deterioration. After carrying out extensive testing, we ripped out and replaced all of the failing old switchgear and busbars, replaced the cabling with new 95 mm supplies plus 35 mm 4 core for the spray booths. Following on from that, we then checked and upgraded the earthing system to make sure the workforce was fully protected and that current safety standards were met. ABL were back in business in double quick time. 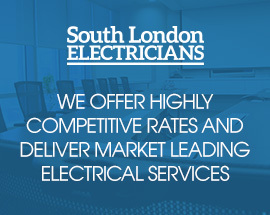 If you require commercial electricians in London to check your switchgear and busbars or to upgrade the wiring on your industrial unit, contact South London Electricians on 0208 406 9834 to find out how you can benefit from our expertise and experience.